Bay Area Hood Cleaning provides professional cleaning for restaurant hoods in commercial kitchens in the Bay Area of California. 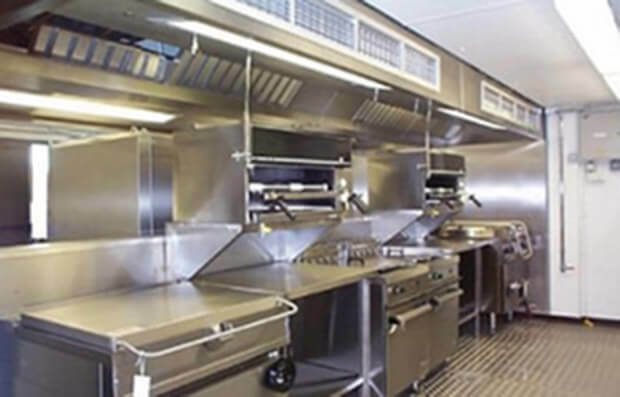 Hospitals, cafeterias, schools, hotels and restaurants that use commercial kitchens with exhaust hoods are in need of a hood cleaning service that matches their commitment to excellence. Bay Area Hood Cleaning provides that level of exceptionalism in San Francisco, CA. Our team understands the expectation your restaurant has to meet an incredibly high standard with hood cleaning services. With our certified kitchen exhaust system cleaning, you are guaranteed to be in compliance with all Bay Area fire codes and get the deep cleaning your kitchen hoods need. Bay Area Hood Cleaning has built our team around the belief that having the most skilled licensed hood system cleaners is the way to provide the most value to our clients. When you bring in our professional cleaners, not only will your exhaust hoods get the deep cleaning they need, but you will also meet the requirements that your insurance company places for regular cleanings. With our attention to detail, you can feel confident in the great value you are receiving. Speaking of looking for value, Bay Area Hood Cleaning works to provide value in more areas than just cleaning kitchen hood systems. If you are interested in leaving your entire kitchen area looking sparkly and new, our licensed professional cleaners can get it done. With our restaurant equipment cleaning service, pressure washing, filter replacements, exhaust fan hinges, and maintenance for exhaust fans to prevent future issues, you are in good hands. With Bay Area Hood Cleaning, the services can be expanded to rooftop grease containment and oil filtration for your fryers as well. Take advantage of the services we provide that are most helpful to you. 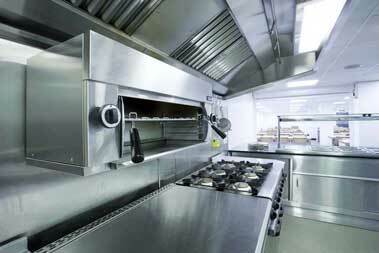 Get your kitchen to stand out and make your restaurant the best it can be with a full cleaning. Give us a call today and make sure your kitchen is in top shape to be the finest kitchen in the Bay Area. It is not enough to meet standards, that is why Bay Area Hood Cleaning is dedicated to exceeding expectations and providing the deepest cleaning and amazing customer service. With Bay Area Hood Cleaning, you not only get expert cleaning from licensed technicians, but you get information about how to maintain your machinery and continuing excellence. If you want superb kitchen equipment cleaning service from a team that cares about your success, then we can help. For restaurants in the Bay Area, grease fires are one of the top causes of fires. It can be difficult to maintain clean systems and grease build up can happen in the fast paced and high pressure business of running a restaurant. With Bay Area Hood Cleaning in San Francisco, you will get detailed cleaning from our certified kitchen exhaust system cleaners to protect your kitchen and your staff. Our technicians are experienced and understand where to look for possible fire hazards that do not usually get checked. Beyond our cleaning experience, we also provide you and your kitchen staff with insight on what to check going forward and proper regular cleaning techniques. You are dedicated to providing great food to your customers, but we know that you are also committed to caring for your equipment and your beloved kitchen staff. With our clean and experienced staff, you get the professional mentality you need to get great cleaning and pass that mentality on to your staff. We look forward to being the professional hood cleaning asset you need in San Francisco. A buildup of grease residue that is identifiable but not able to be removed with regular cleaning techniques and scrubbing. 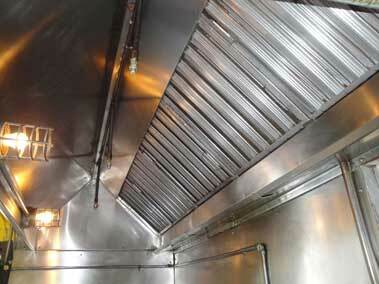 The smell of grease noticeably being detected from the air ducts or exhaust hood. There is not a record of the last time the hood system was cleaned or maintained. The exhaust fan is making abnormal sounds like rattling. If the roof is showing grease stains. There is damage or denting on the exhaust system. There are some issues that are more important than others, but due to the severity of issues like grease fires, it is vital to take every sign of a problem seriously. If there is any grease on your roof it can cause leaking and your roof could even collapse before you know the damage is being done. Grease attracts unwanted guests like pests, and they also created unpleasant odors. For these reasons and other issues, it is vital to get a commercial kitchen exhaust system cleaned consistently by professionals. 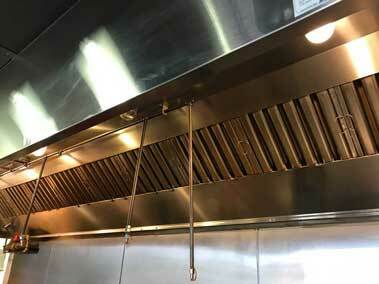 Health inspectors, fire marshals, and insurance companies in the Bay Area require regular cleaning of restaurant exhaust hoods. Generally it is important to have professional kitchen cleaning done every 90 days. Every kitchen has different factors that could affect this, so if you need an assessment for your commercial kitchen, be sure to contact your insurance company or the local board of health. Give us a call when you are in need of a check-up or cleaning and let the Bay Area Hood Cleaning team bring you the deepest clean your kitchen has ever experienced. Set yourself apart with the cleanest kitchen equipment in the Bay Area.